Due for completion by end-2019, Splash World @ Harbour City will be located 14 floors above the ground in the centre of Melaka’s UNESCO World Heritage City. Artist Impression. Due for completion by end-2019, Splash World @ Harbour City will be located 14 floors above the ground in the centre of Melaka’s UNESCO World Heritage City. 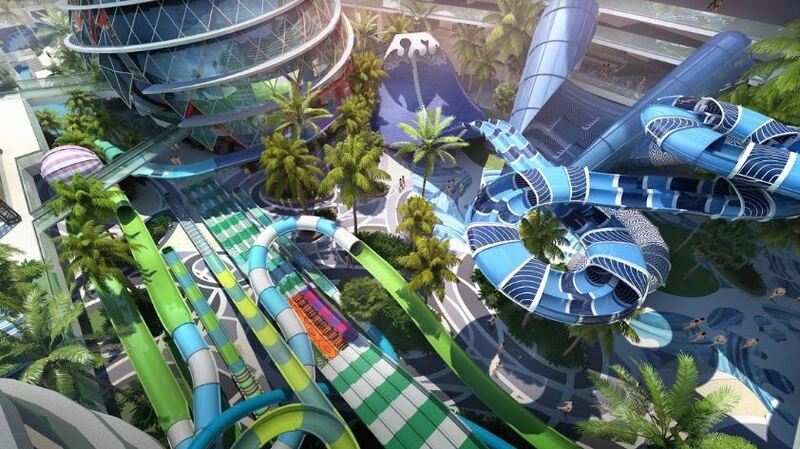 Hatten Land Limited, together with leading operator Samsung C&T Corporation and the world’s leading designer and installer of water slides, Polin Waterparks, have unveiled plans to build a RM 200 million (USD 49.2 million) water theme park. 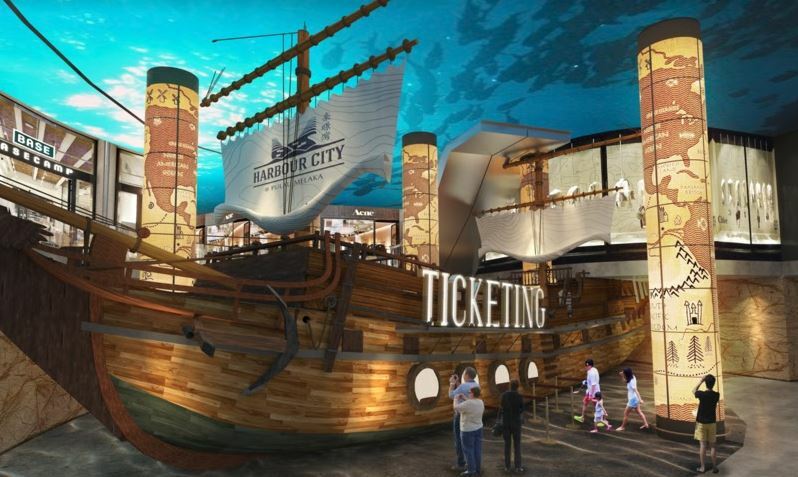 Expected to be opened to the public in the first half of 2020, Splash World @ Harbour City, the worlds’ first ‘sky’ theme park, will be one of the region’s largest water parks. It is estimated that there will be 850,000 to 1 million visitors annually after the first year of operation. The incorporation of the theme park into Harbour City may extend the length of visitor’ stays which also bodes well for the tourism sector. 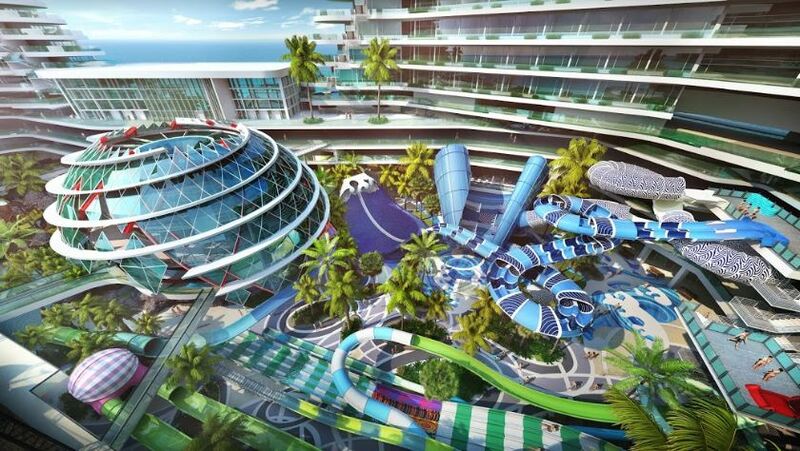 Nestled between two 30-storey towers on the 14th-floor deck of Harbour City @ Melaka, which is a new ship-shaped development, the four-storey Splash World will offer an indoor and outdoor waterpark experience with more than one kilometre of water slides. The scale and concept of the project will reshape tourism in Melaka, Malaysia’s second most visited city after Kuala Lumpur. Dato’ Colin Tan, Executive Chairman and Managing Director of Hatten Land told WILLIAMS MEDIA, “Splash World @ Harbour City is a hugely important project which underscores Hatten Land’s commitment to the long-term development of Melaka." “We are partnering world-renowned leaders in their respective fields – Samsung C&T Corporation and Polin Waterparks – to place Melaka on the world map as a must visit-destination,” he said. 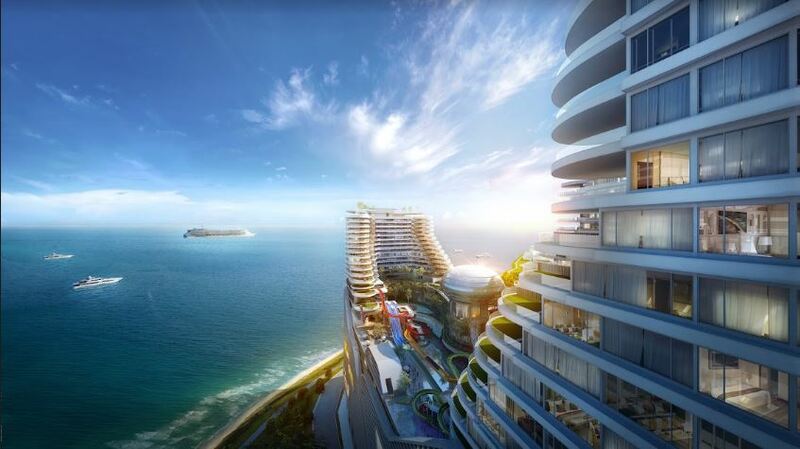 Harbour City is a marine-themed mixed development that incorporates retail, hospitality and entertainment elements, spread across six acres of Pulau Melaka’s island paradise. For more information about Splash World @ Harbour City, phone or email Hatten Land via the contact details listed below.